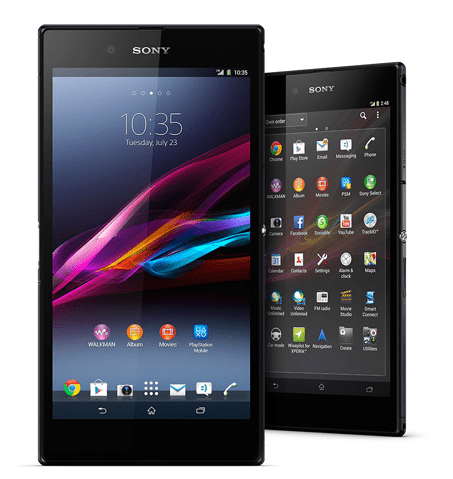 Sony has finally launched its flagship device, the Xperia Z Ultra in India for a price of Rs 46,990.The smartphone will be spearheading Sony’s lineup in India and the device will lock horns with the likes of the upcoming Galaxy Note 3 and the recently launched LG Optimus G Pro. It has a screen of 6.4 inches which makes it the biggest smartphone on sale in India in terms of real estate.The smartphone will come dyevoid of any stylus but Sony claims that it will work with any capacitive stylus or a pencil with a diameter of more than 1mm. The smartphone will go on sale from August 2 and Vodafone will offer 8GB of 3G data for 2 months. And it is dust and waterproof too. Our Take: The device may be a bit on the costlier side of things but then there is nothing on sale as of now that will come closer to it in terms of performance. If you have a budget of around Rs 45,000 and look for performance then the Xperia Z Ultra will be probably the safest bet.